Super fun print! 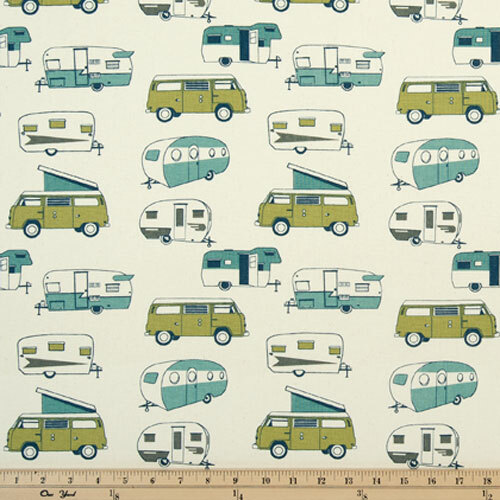 Retro campers, travel trailers and vans. Colors include olive green, gray and shades of blue on a cream background. Home decorating fabric suitable for drapery, decorative pillow covers, headboards, crafting or light upholstery.